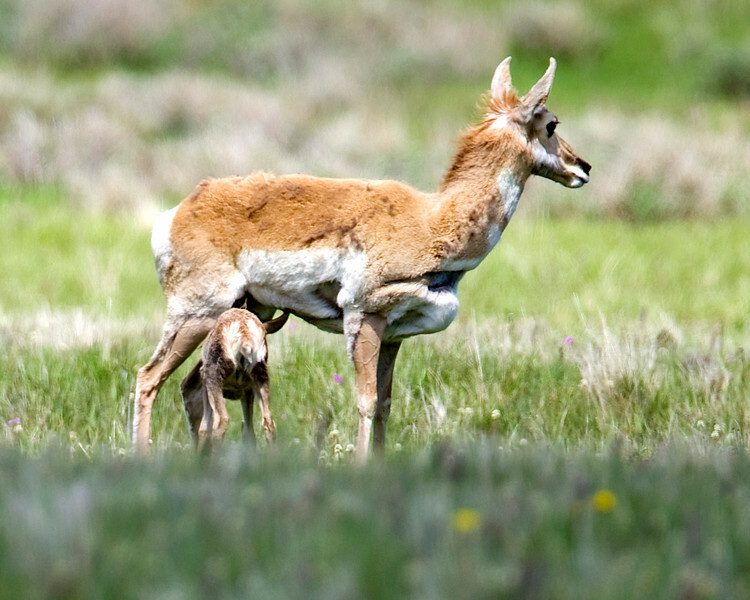 Juvenile Pronghorn feeding in Red Rock Lakes National Wildlife Refuge, Montana. The Pronghorn is the only species in their family, not just genus. June 14, 2008.